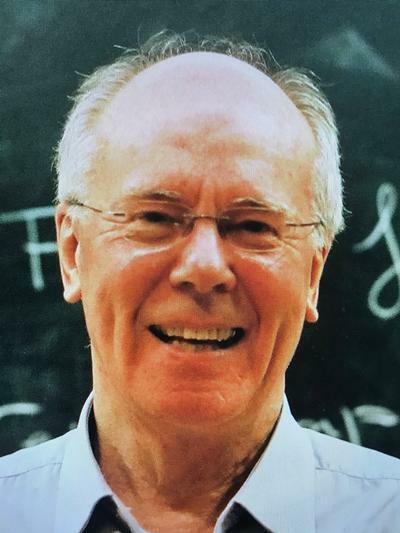 Professor Roger Plymen is a Visiting Professor to Mathematical Sciences at the University of Southampton. My affiliation at Southampton dates from 2010. Before 2010, I was professor of pure mathematics at Manchester University; the time at Manchester was spiced with study leave at various places, notably IHES, France and MSRI, Berkeley, USA. Complex topological K-theory; representation theory related to the local Langlands correspondence. Aubert, A-M., Baum, P., Plymen, R., & Solleveld, M. (2014). On the local Langlands correspondence for non-tempered representations. Munster Journal of Mathematics, 7, 27-50. Brodzki, J., & Plymen, R. (2002). Complex structure on the smooth dual of GL(n). Documenta Mathematica, 7, 91-112. Plymen, R. (1997). Universal example for S-arithmetic groups. Expositiones Mathematicae. Plymen, R. (1992). K-theory and elliptic representations of SL(l). Houston Journal off Mathematics. Plymen, R. (1986). Strong Morita equivalence, spinors and symplectic spinors. Journal of Operator Theory, 16(2). Plymen, R. J. (1980). The Laplacian and the Dirac operator in infinitely many variables. Compositio Mathematica, 41(1), 137-152. Plymen, R. J., & Young, R. M. G. (1974). On the spin algebra of a real Hilbert space. Journal of the London Mathematical Society, 9, 286-292. Plymen, R. (1973). Two-state systems and the two sphere. Nuovo Cimento. Plymen, R. (1968). Dispersion-free normal states. Il Nuovo Climento A.
Plymen, R. (1992). Coupling constants for p-adic groups. In A. J. Baker, & R. J. Plymen (Eds. ), p-Adic Methods and Their Applications Oxford Science Publications. Plymen, R. J. (1979). Some recent results on infinite-dimensional spin groups. In G-C. Rota (Ed. ), Studies in Algebra and Number Theory (pp. 159-171). (Advances in Mathematics Supplementary Studies; No. 6). London, GB: Academic Press. Aubert, A-M., Baum, P., & Plymen, R. (2011). Geometric structure in the representation theory of p-adic groups II. In R. S. Doran, P. J. Sally, & L. Spice (Eds. ), Harmonic Analysis on Reductive p-adic Groups (Contemporary Mathematics; No. 543). San Francisco, US: American Mathematical Society. Plymen, R. (2006). K-theory of the reduced C*-algebra of SL2(Qp). In Operator Algebras and their Connections with Topology and Ergodic Theory (Lecture Noter in Mathematics). Plymen, R. (1991). Equivariant homology for SL(2) of a p-adic field. In Analysis, Geometry and Probability (Texts and Readings in Mathematics). Gurgaon: Hindustan Book Agency.